Applying car wax or a paint sealant regularly will extend the life and beauty of your vehicle’s paint finish. Carnauba waxes and paint sealants shield the paint from UV rays, environmental pollution, and moisture PLUS your vehicle will look fantastic! Nothing is more satisfying to a car buff than a brilliant, slick shine on his or her vehicle and you’ll only achieve that with a quality wax or paint sealant. The choice is yours. Waxes are generally made with carnauba and other natural waxes. Waxes offer protection and a warm, wholesome shine. Paint sealants are fast to apply and leave a long-lasting, high gloss shine. Visit the links below to learn more about the difference between carnauba waxes and polymer paint sealants. No matter which paint protection you choose, apply your wax or paint sealant regularly to keep your vehicle looking newer and shinier, longer. 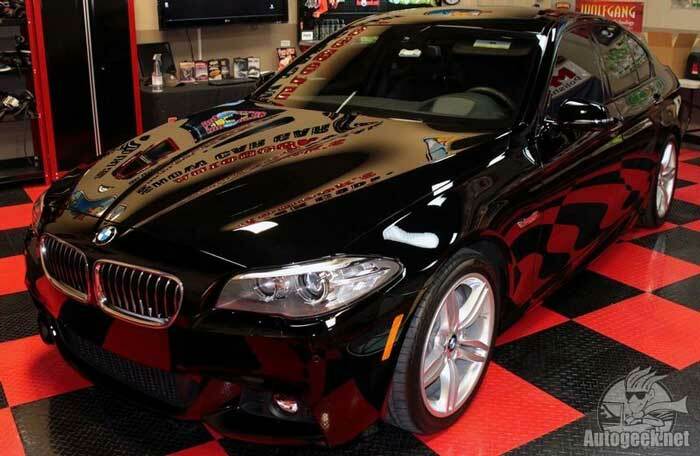 2014 BMW 535i detailed by Mike Phillips in the Autogeek Show Car Garage. Mike's wax of choice was Pinnacle Black Label Synergy. Look at the depth and clarity of the BMW's paint!